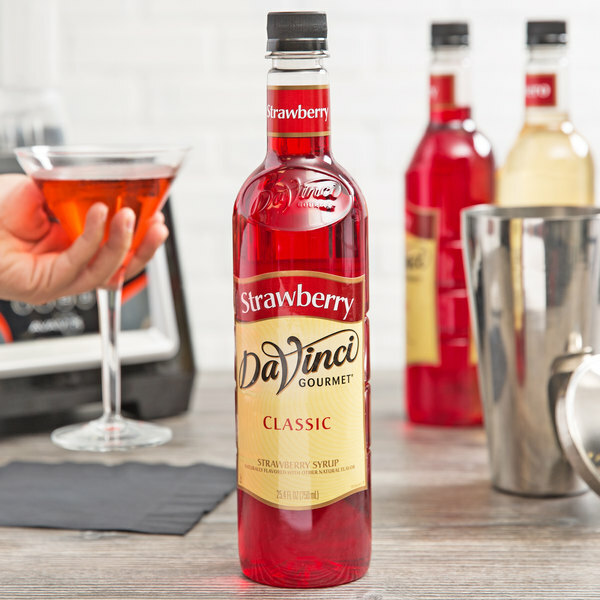 Choose from over 60 classic flavors, and discover the rich taste and quality consistency in each and every DaVinci Gourmet product, including this strawberry flavoring syrup! DaVinci Gourmet flavoring syrups are made from pure cane sugar to complement your beverages without overpowering them or being too sweet. They are specially formulated to hold up well under heat, making them the perfect choice for espresso-based drinks, brewed coffee or tea, and more. 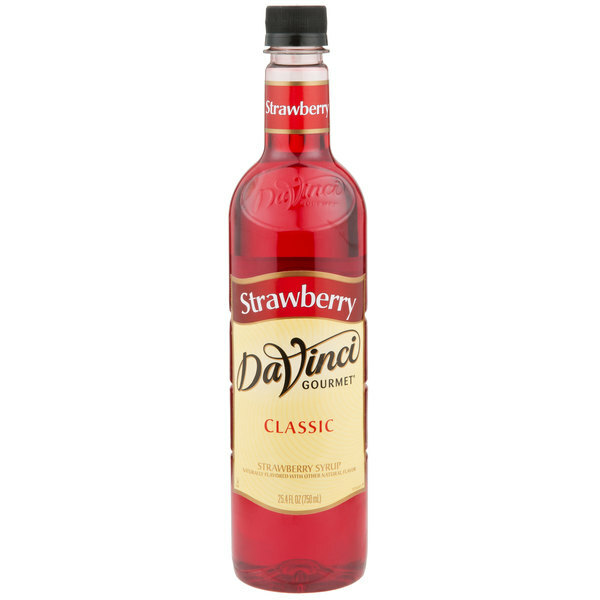 Bring the summer sweet taste of red strawberries to any cocktail, shake, or blended drink with this DaVinci Gourmet strawberry flavoring syrup! Featuring a popular strawberry flavor and a rich color, this syrup is perfect for smoothies, mixed drinks, iced teas, and sodas. One splash of flavoring syrup goes a long way, and flavored beverages enhance your menu with new, appealing items. This user-friendly plastic bottle is easy for your baristas and restaurant staff to handle. 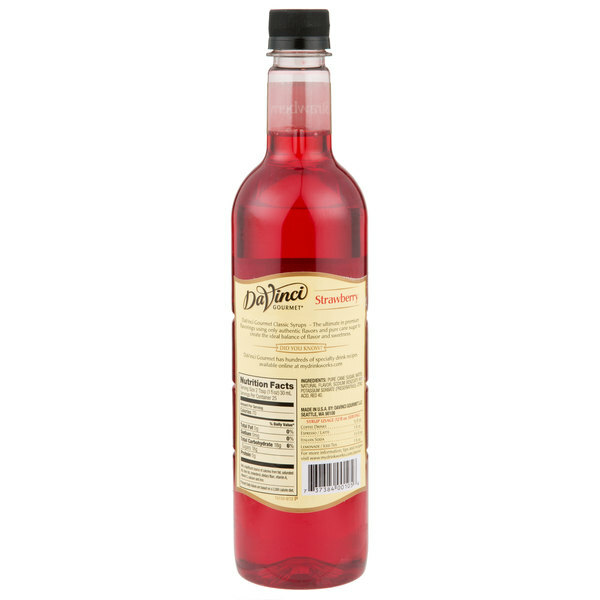 Sold in gourmet coffee shops, specialty food stores, food service outlets, and grocery stores, DaVinci Gourmet products, like this strawberry syrup, have a long history of commitment to quality and superior taste. i bought this to do strawberry lemonades and the strawberry flavor is really good but the color is light. I really wanted it to have a a nice red color. The color of this syrup lightens considerably when mixed or frozen but the flavor is great. For photos not strong, but taste will get you there everytime. This syrup was used in my daily protein shake and OMG, it makes my shake so delicious. Excellent syrup, tasted like very sugar strawberries and was absolutely great for iced coffee and flavoring shakes!